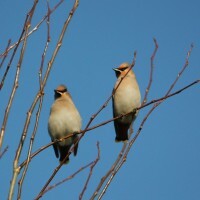 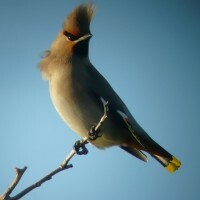 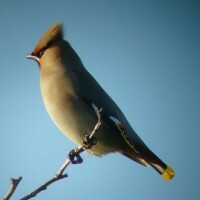 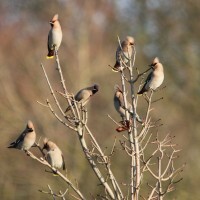 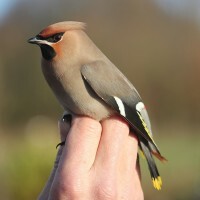 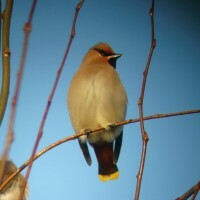 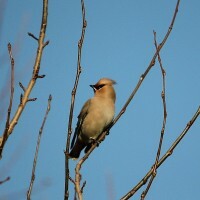 Here are some photographs of the waxwings that have been visiting the marina for the third consecutive year. 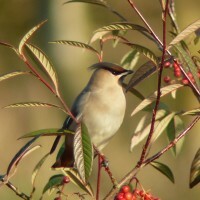 The pictures were taken by Rose and Mike Williams. 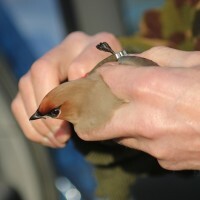 Many thanks are sent to the mother and son team (Michael is a Class A bird ringer). 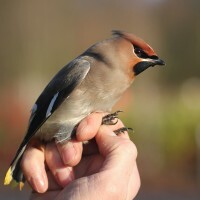 They managed to ring one of the waxwings in December and it is hoped that the bird will be sighted again if the flock returns next winter.